Beuligmann Heating & AC is proud to serve the New Harmony community! Please call us today at 812-874-3149 to consult with our home comfort specialist. About New Harmony, IN - Happy to be your hometown Heating & Air Conditioning Contractor! New Harmony, Indiana is not just any town. It is literally overflowing with history and the locals are bursting with pride to share it with you. You will never see another place quite like New Harmony ever again. Why? For one, its unusual name will not be soon forgotten. How did it get this name? It was named for the Harmonists who settled the town first. They were looking for peace and religious freedom as were so many colonists and created a home here centered around that type of utopian ideal. This town was a hotbed of change and the people who started the community felt strongly that the world could and would be changed by a new type of society. Within the settlement, progressive experiments in education, communal living and science were attempted by some of the greatest European minds of the time. It was a trial in a new type of society which ultimately failed. The settlers believed in equality for all its inhabitants, including women, which was a novel idea at the time. Because everyone was treated equally, all were expected to contribute to the community, and to work. The leader of the settlement encouraged hard work by instating a currency and trade system based on hours of work. Today, you can tour the many buildings, monuments, museums and attractions that educate and enlighten the public about the early history of this remarkable town. There are both indoor and outdoor sights to see, which means that you can check out the local history any time of year. The town also maintains a lovely parks system. 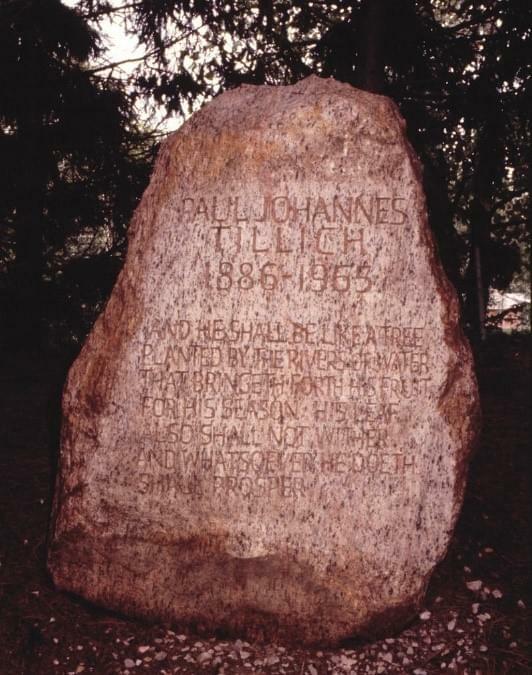 A particularly significant park is Paul Tillich Park. This community space honors the famous twentieth century theologian, Paul Johannes Tillich. Tillich's ashes were interred there in 1965, and the park features a stand of evergreens on elevated ground, which border a walkway. This is a monument with several large stones and quotations from the esteemed scholar. There is also a sculpture of Tillich that reflects off of a beautiful pond, which sits behind it. this is the perfect place to go spend time as a family on a beautiful day – and learn a little bt about Tillich while you are at it.